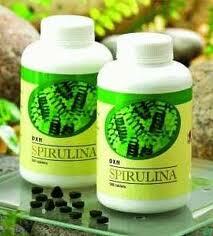 I'm so glad that DXN Spirulina is proving itself to be a very great health booster for our family. We all take DXN Spirulina regularly,to help strengthen our immune system especially during weather changes like now,when winter is officially settling here in our part of the world. Weather changes usually cause flu and some related sicknesses,but with the right dose of SPirulina you can avoid those negative physical sicknesses.DXN Spirulina is the mixture of all the necessary vitamins and minerals provided by all natural herbs and fruits, in the compacted form or tablet form.As it is,we can't always take in necessary vitamins and minerals needed by our body to function in the maximum level,and for this reason it is most important to fill this bodily need with Spirulina tablets. It is also recommended for children,I also give it twice (once in the morning and once after supper) to my 5 year old daughter. And I'm planning to offer or sell it to the other families and mommies in my daughter's kindergarten school.DXN health products are available internationally,but the mother company is located in Malaysia.